Simply click on the image to go to the pattern description. You feel free to make and sell products from my crochet patterns. When Sharing my patterns use one image with a direct link to the pattern. Please do not repost, copy or edit content, patterns, and images in this blog as your own. These are original designs made by me so please respect my effort. Mini mini Bow Toddler Tank Top - free crochet pattern. Crochet Preemie Booties "Giving with Love"
I am so thankful I have found your site! I already have many of your patterns saved both on my tablet and revelry to be worked. Thank you for sharing all of these awesome patterns!! Thank you for sharing your patterns. You are a very clever lady! it is very hard for me to follow the pattern in books. Just a question do you have tutorial anyway thank you for sharing your gift with me and others. What a wonderful site! So glad that I found this as you have just about everything a girl who crochets could want. Thank you so much for sharing your time, your talent and your patterns. These should keep me busy once my move to Ecuador is completed! Lovely and interesting patterns. Not difficult to make. I especially like the hats and the scarves. Living in Sweden, they are useful for the cold months crocheted in wool or acrylic. Made in cotton, the hats are wonderful for spring and summer. Thank you for your generosity. 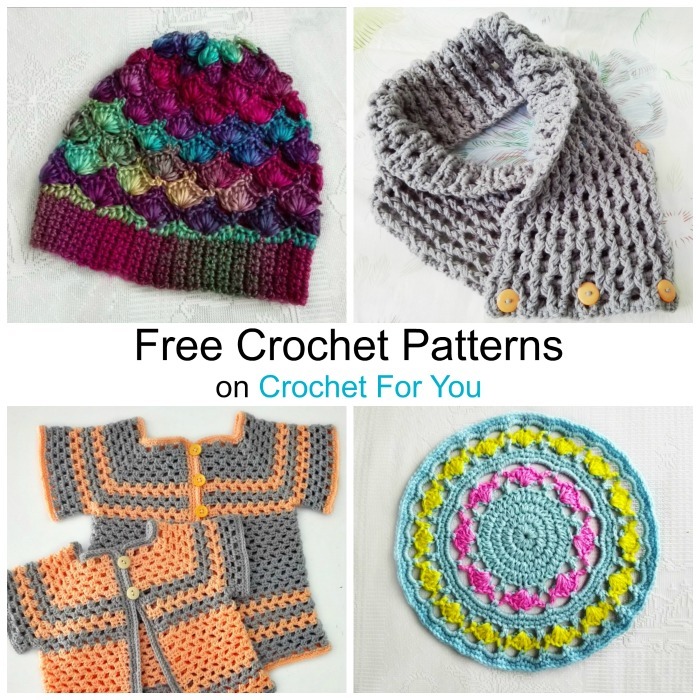 Thank you so much for all the wonderful free patterns to link too! They are great and so are you for doing what you do! !